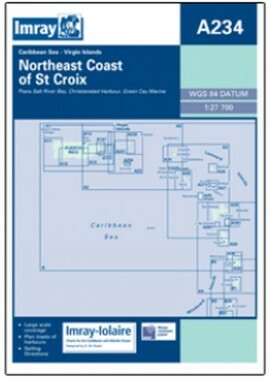 The NE coast of St Croix, Virgin Islands, from Salt River Bay to East Point. Scale 1:27,700. Larger scale plans of Salt River Bay, Christiansted Harbour, and Green Cay Marina. Flat chart, water-resistant paper.